And each one begins billions of years ago, hundreds of miles below the surface of the Earth. At that time, it was only molten magma. But a set of geologic events were set into motion that caused the magma to undergo tremendous temperature and pressure. Over time, that magma was compressed, crystallized, and forced toward the surface. A few diamonds actually made it to the surface, but most are found in deep mines, the largest of which are in Botswana, Russia, and Canada. Note that even though most are found in these areas, diamonds have been found all over the world, including the United States. Even in the most productive diamond mines, extracting quality diamonds is an exhaustive process. To produce one carat of diamonds, miners sift through approximately 200-250 tons of ore. The average size of the diamond coming out of a mine is .10 carats, and even then, only 20% of mined diamonds are gem quality. Gem-quality diamonds are sorted based on size, shape, quality, and color. The sorted gems are sold at an invitation-only sale held only 10 times each year. 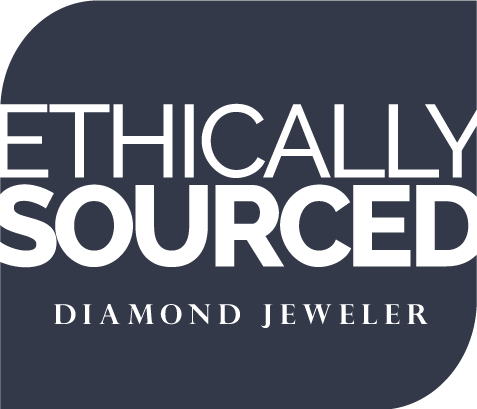 After they’re sold, those “diamonds in the rough” undergo an extensive cutting and polishing process to make them shine. They’re examined to determine their best shape, then split, cut, and polished – a process which can take weeks or months. And much of this process is still done by hand by a few master gem cutters. The diamonds are then sold to jewelers and designers to be placed in a setting that’s just right for each stone. So the next time you look at your diamond, don’t just admire its sparkle. Think about the incredible process it underwent just to get to you. Then smile, knowing that it finally has a chance to shine.